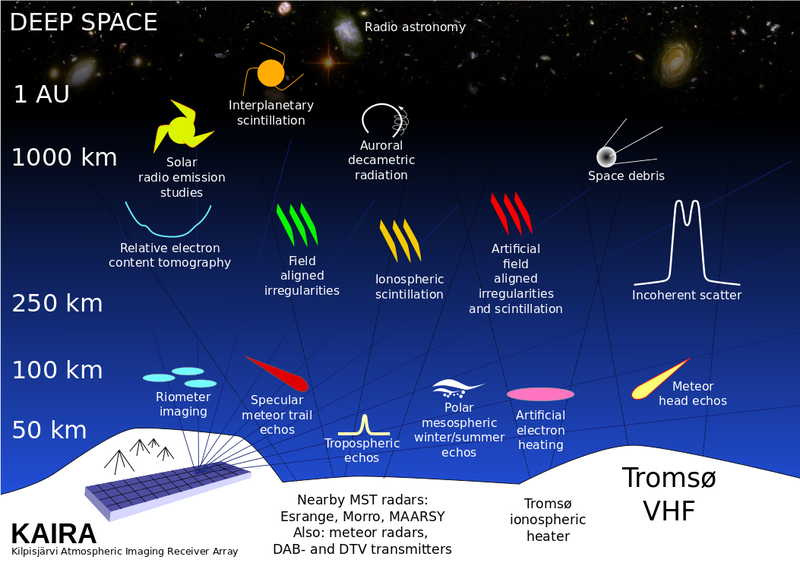 The top priority task is to conduct an initial survey of the proposed deployment area. This was carried out today at the site using a simple theodolite, tape and survey stick... backed up with a GPS receiver! 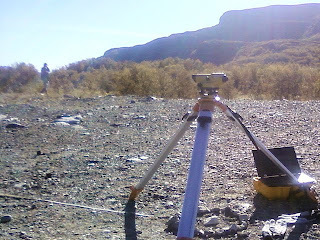 During the survey, a number of set positions were used. This photograph shows the theodolite set up at the primary position. 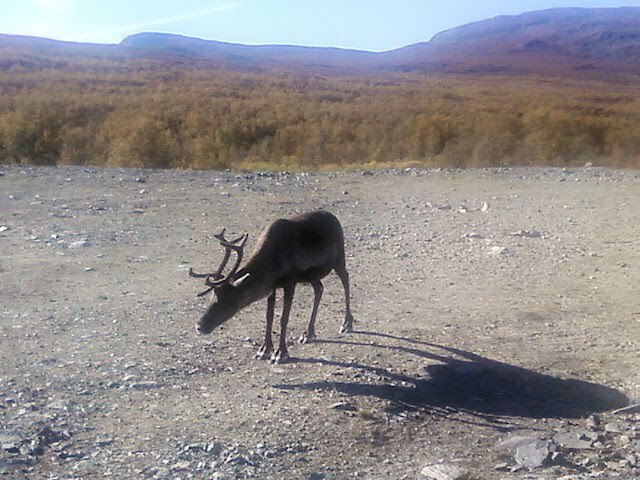 During the surveying work a number of reindeer passed by to see what we were doing! 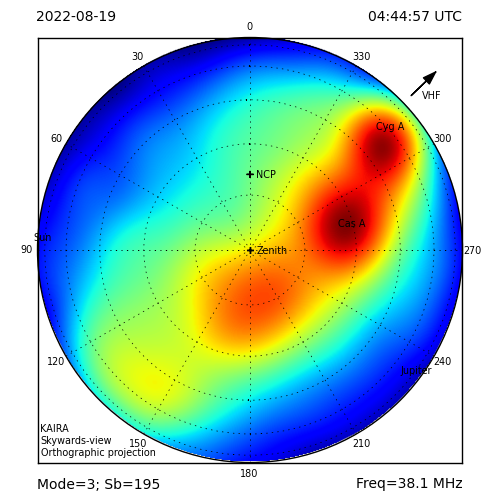 Looking across the theodolite, there is a nice view of the area where the low-frequency array could possibly be deployed. 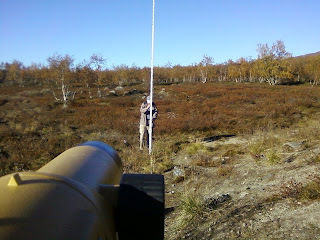 One of the survey team can be seen holding the 5-metre survey stick.